We do professional Siemens appliance repair as well as maintenance and installation. We specialize in European brands of kitchen and laundry appliances. Our technicians are all factory trained and certified. They are highly skilled in all the aspects of Siemens repair. Our company will quickly diagnose your broken appliance, order the parts and will expertly install them. We carry all the Siemens genuine parts and provide them to you at below market prices. With us, you can be sure that your Siemens kitchen is in good hands. 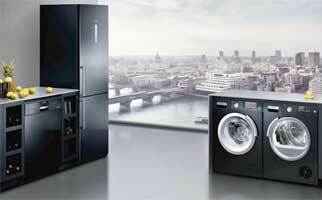 Siemens make top quality kitchen appliances such as fridges, ovens, washing machines, dryers, and dishwashers. What makes them different is not only their usefulness and durability but also the amount of new technology that goes into it. With the help of Home Connect system, you can be remotely connected to all of your Siemens appliances over the smartphone. For example, you can look into your refrigerator from within using internal cameras or you can remotely choose the best washing programme for your washing machine. When your Siemens appliance brakes, you need a professional and certified repair service. Our company provides such a service. We are always on top of the latest Siemens technology, and we will know what to do. Besides having all the skills and knowledge needed for Siemens appliance repair, we also offer you an excellent customer service. Our techs are always friendly and polite. They will treat you with respect and will try their best to help you. We offer flexible appointment scheduling as well as accurate estimate and FREE service call with every repair job. Our prices are very reasonable, fair and upfront. And we are so sure of the quality of the Siemens parts that we provide for you that we offer a full 3 yearwarranty on any parts installed by us. We will fix your Siemens and will make it function great again. Our company Top Home Appliance Repair has been in business for over 30 years. All this time we have been helping homeowners and business with their appliances. Whether it was professional repair, installation or maintenance our team has been doing it for years. We have huge experience doing refrigerator repair, dishwasher repair, washer repair, dryer repair, stove and range repair, oven repair, steam oven repair, microwave repair, freezer repair, ice maker repair, BBQ repair, pizza oven repair, patio heater repair and much more. We are local, family owned and family run company. We do both residential appliance repair and commercial appliance repair. If you need appliance repair, don’t hesitate to call us. What can you expect from a typical Siemens appliance repair? First of all, you can look forward convenient appointment and accurate over the phone estimate. Second of all, you can expect a highly knowledgeable and skilled technician. Most of the time he will preorder the parts for you and will be on his way to your house in no time. He will bring with him all the tools and equipment necessary. Once our tech is at your house, he will get to work right away. He will determine the problem and will do whatever it takes to solve it. After the job is compleat, he will test your appliance and make sure it’s totally safe to use. With gas and electrical appliances, you always have to be extra safe. Then he will clean up after himself. Only then will our technician present you with your perfectly functional and safe appliance. Your Siemens appliance will be working as good as new. We are simply the most qualified and the most experienced company you can find. There are a lot of appliance repair companies but not all of them how to know how to handle European brands like Siemens. We do. We have been doing Siemens appliance repair for years. Our techs are familiar with both old and new models of Siemens appliances. They are factory trained and certified. Also, our company will try to take the hassle our of your appliance repair experience. We try to be always on time and fully prepared for any appointment. Our techs work fast and do the job right the first time around. You will be more than happy with the results! 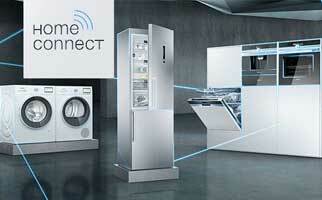 For Siemens appliance repair, please call us at 925-265-7782 in East Bay or 628-214-0064 in Marin County. Or you can fill out our short contact form. We would love to talk to you and answer all of your questions. Besides Siemens appliance repair are also certified to repair Asko, Bertazonni, Bosch, Dacor, DCS, Electrolux, Fisher&Paykel, Frigidaire, GE, Jenn-Air, KitchenAid, La Cornue, LG, Liebherr, Marvel, Miele, Perlick, Samsung, Sub-Zero, Thermador, Traulsen, True, Viking, Whirlpool, Wolf. We do professional Siemens appliance repair as well as maintenance and installation. We specialize in European brands of kitchen and laundry appliances. Our technicians are all factory trained and certified.